GCH. 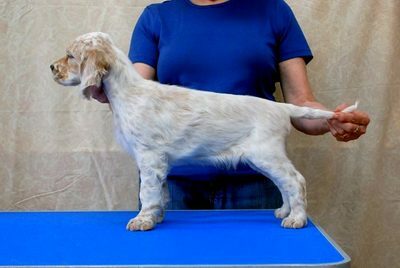 Plaisance Marquise Joyeuse had a " Special Delivery" on December 31, 2016 from Am/ Can.HIT/BIS Elite CHC CH. Desert's Electrified CD RN PCD CGN who lives in Nova Scotia with his owner, Erin Leblanc . 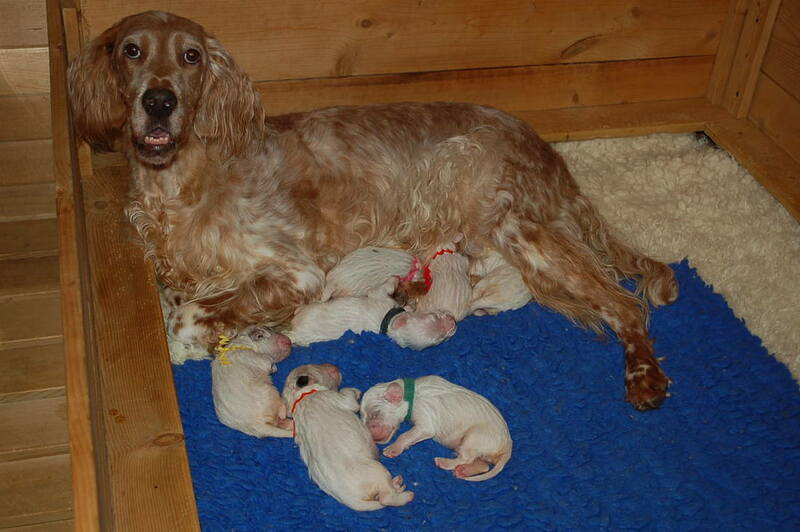 Joy & Enzo puppies were born on March 4, 2017, 5 boys & 2 girls. 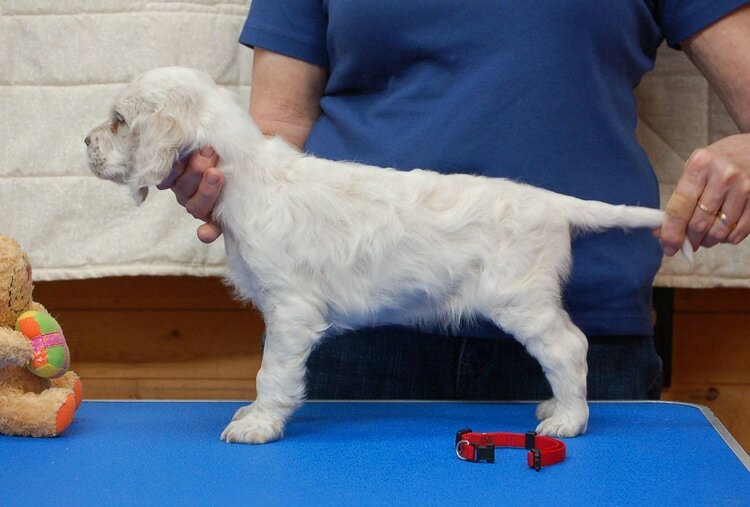 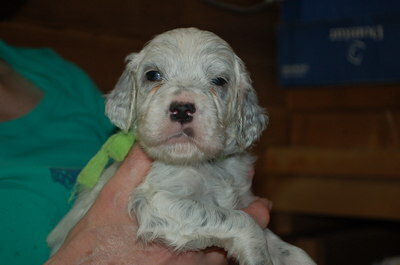 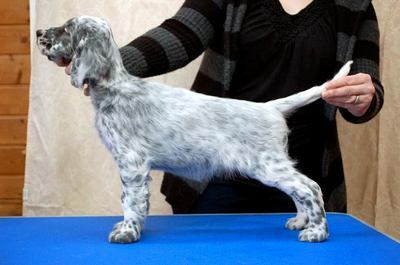 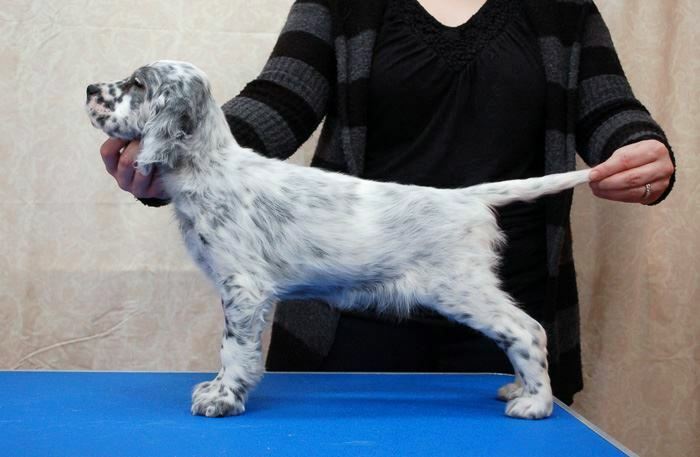 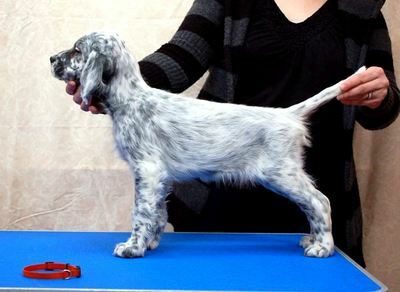 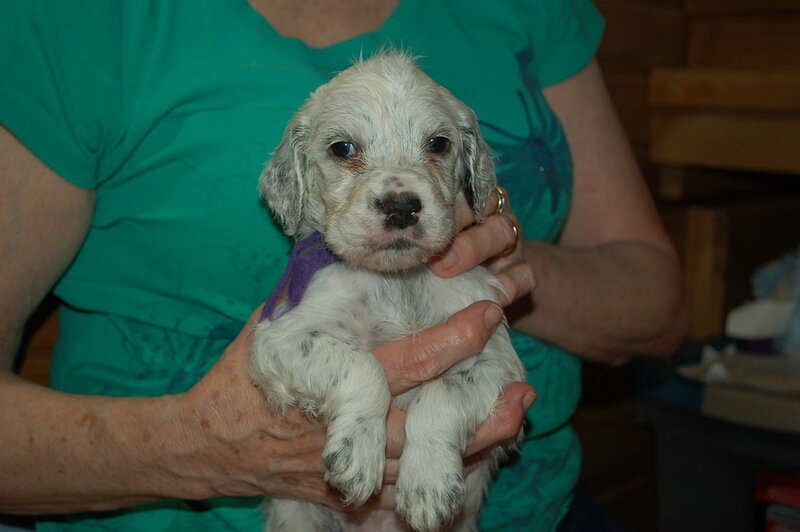 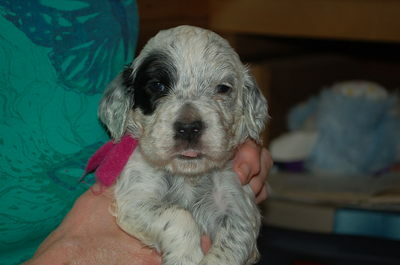 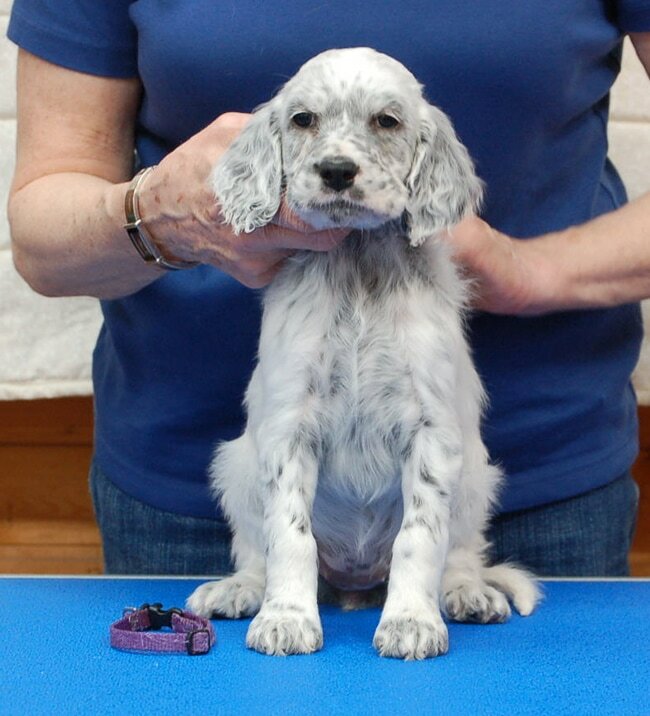 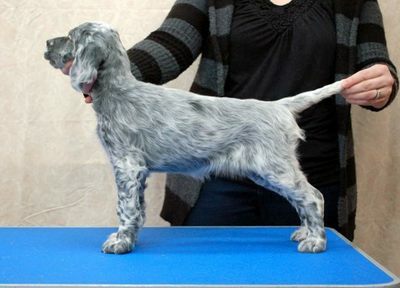 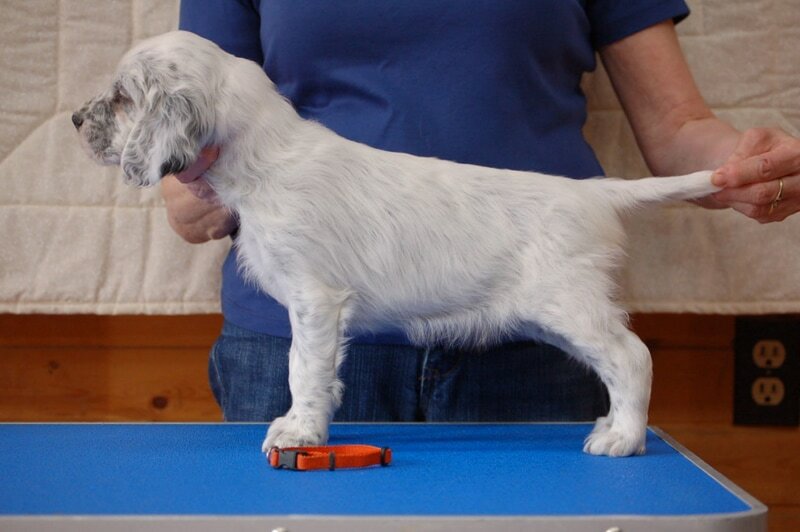 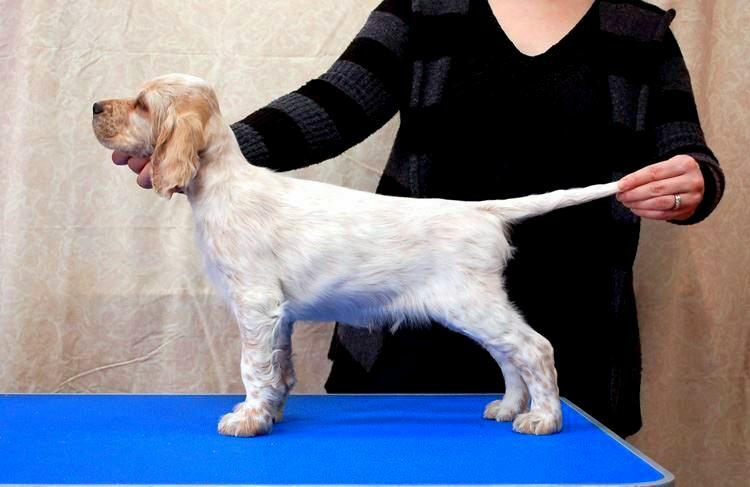 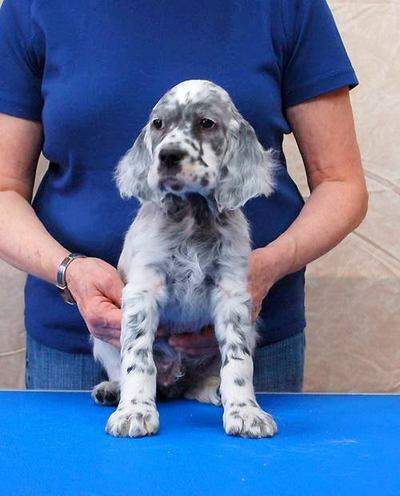 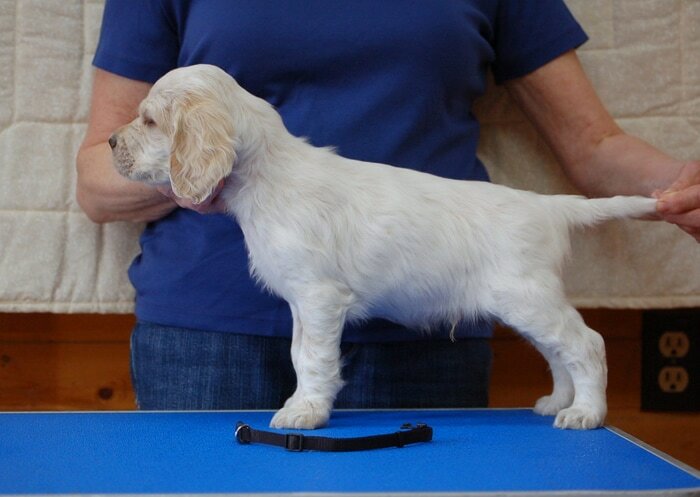 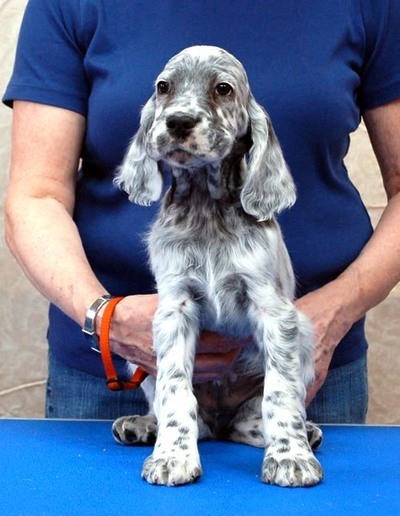 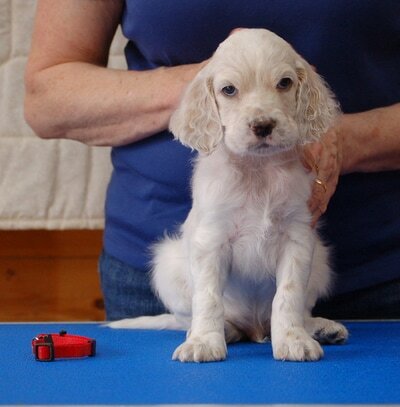 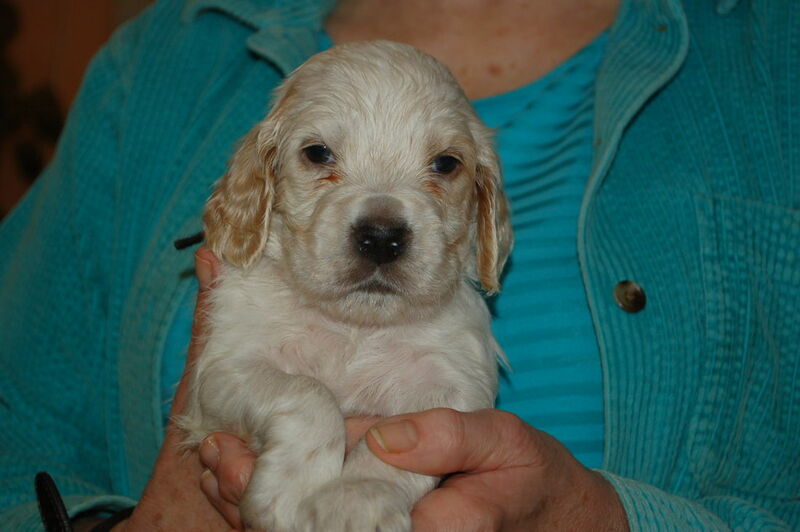 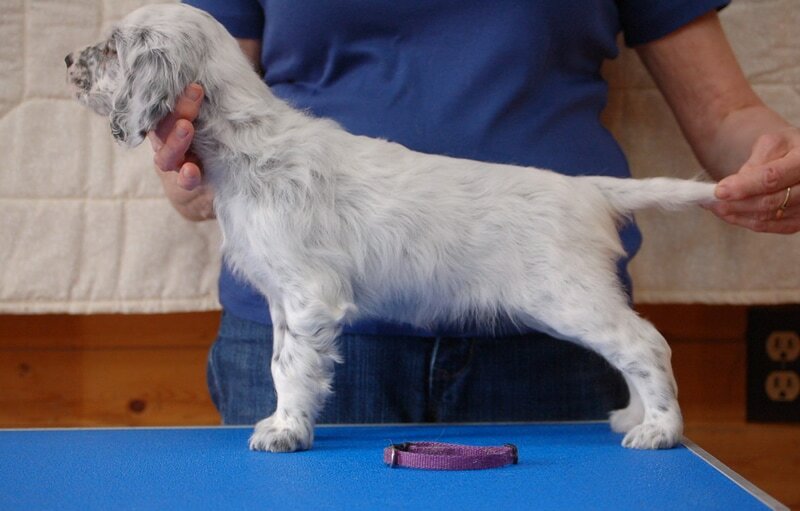 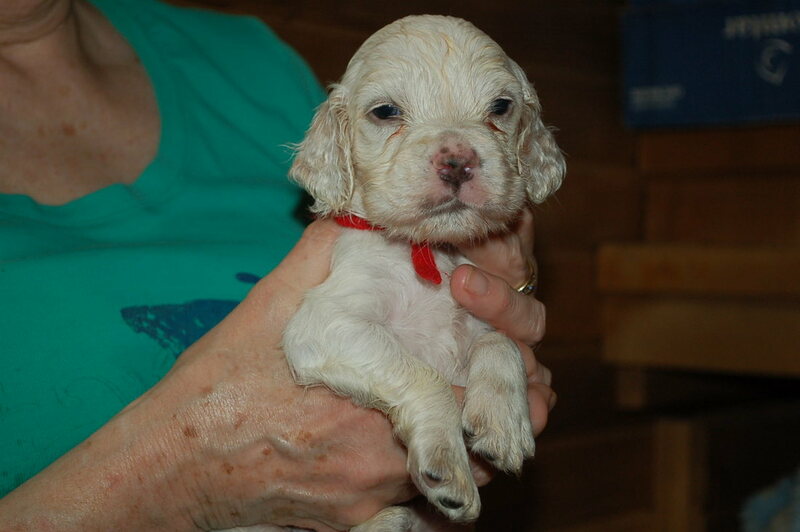 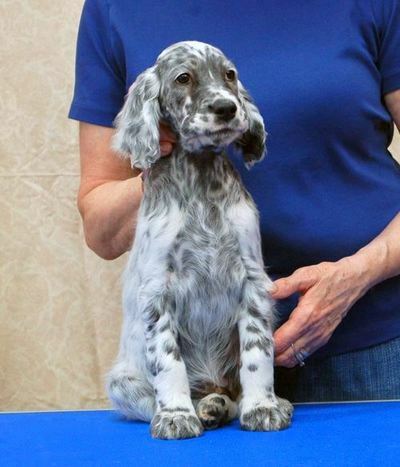 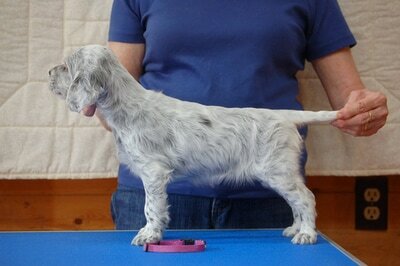 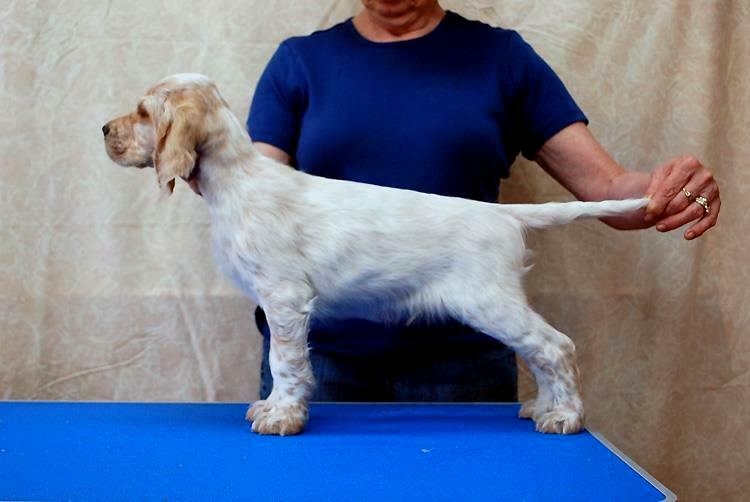 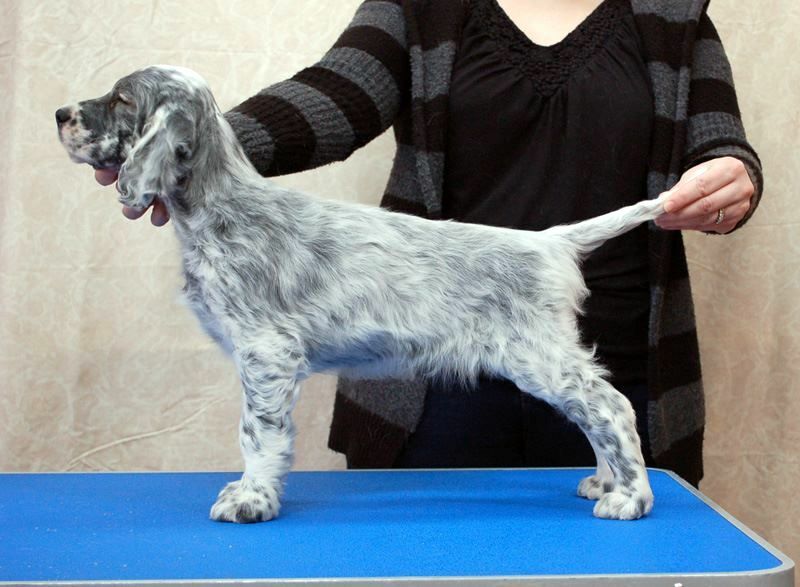 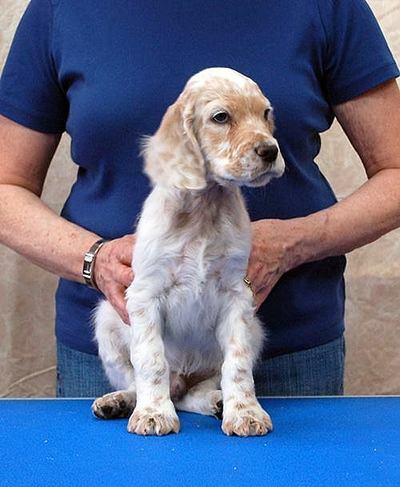 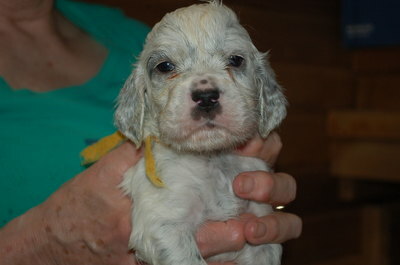 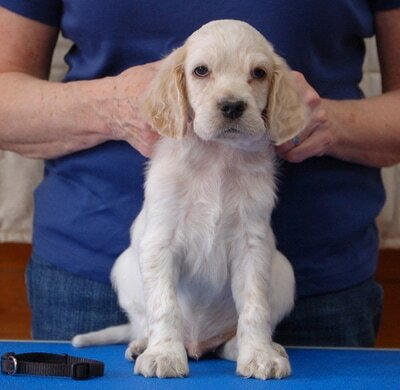 These puppies should have beautiful heads, good structure, nice bone and the lovely English Setter temperament. 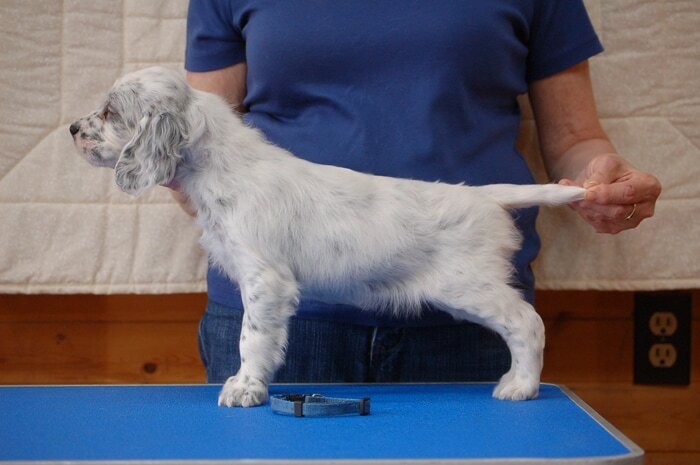 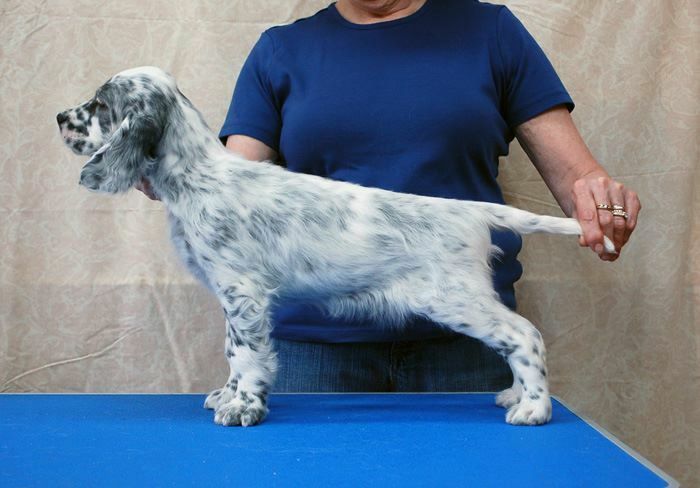 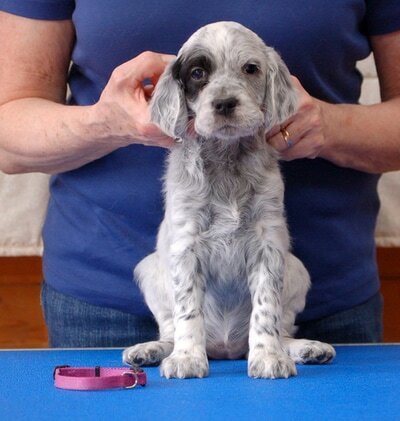 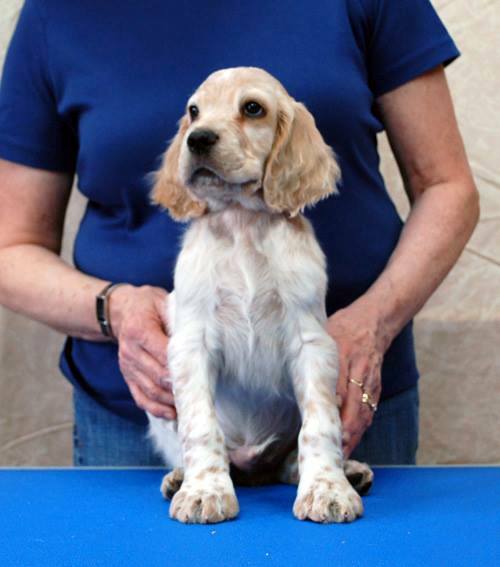 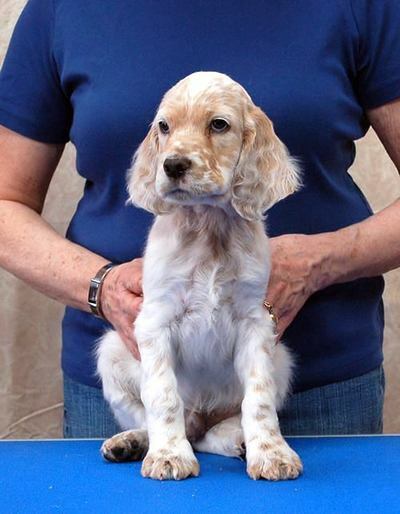 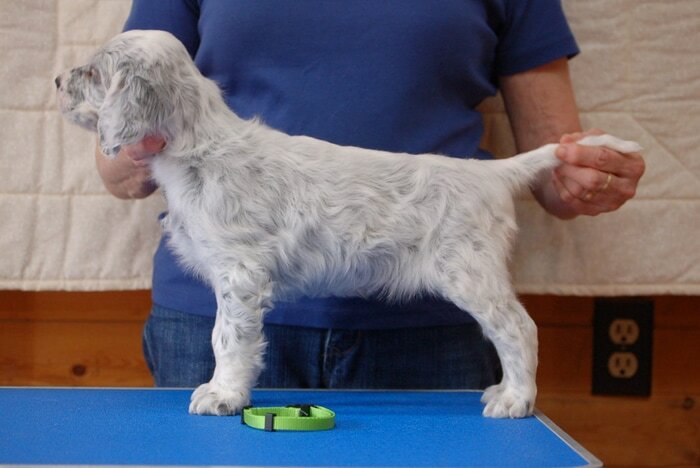 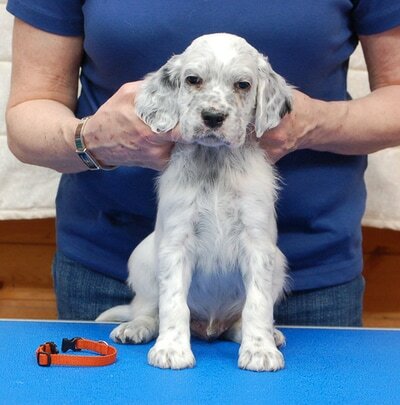 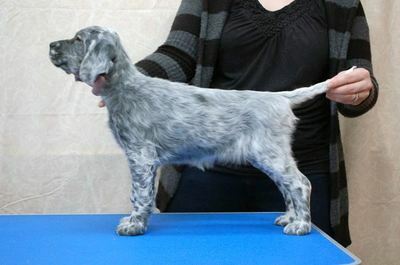 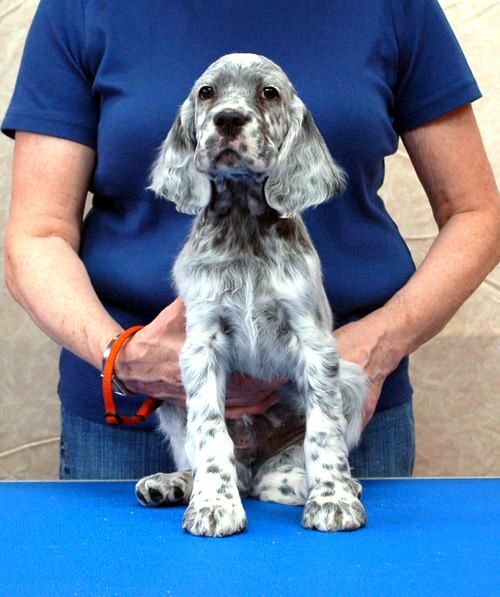 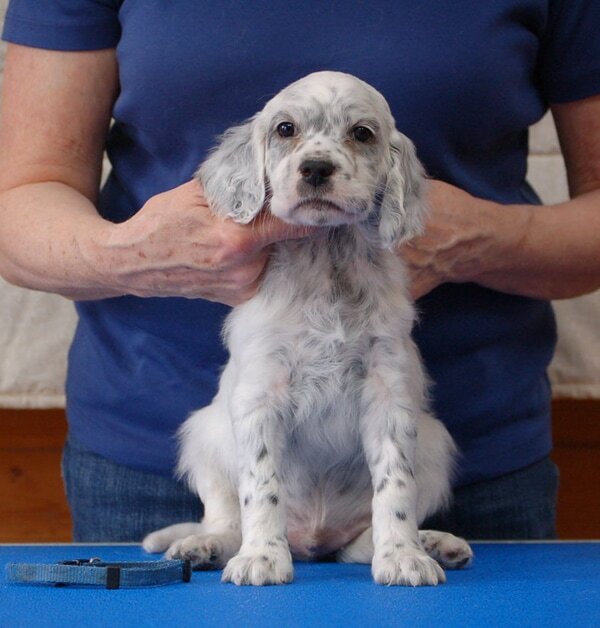 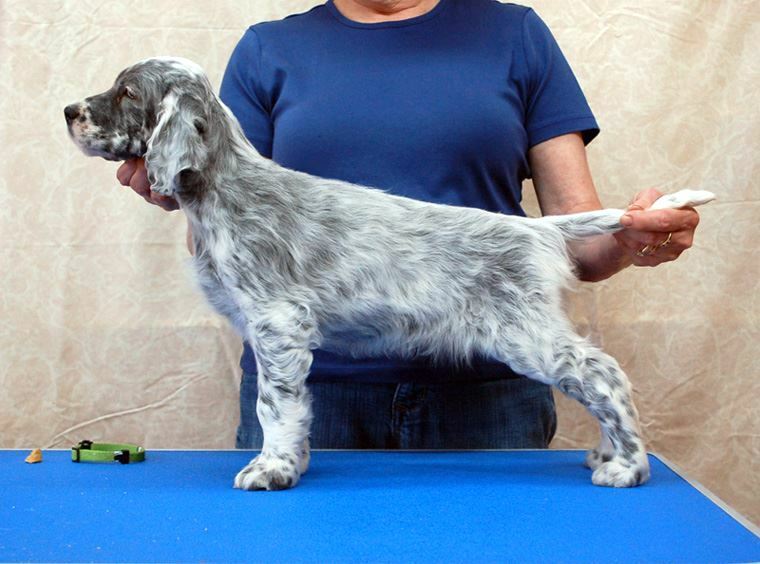 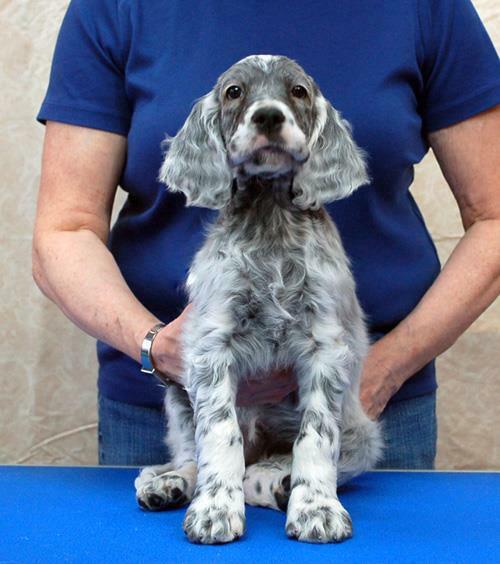 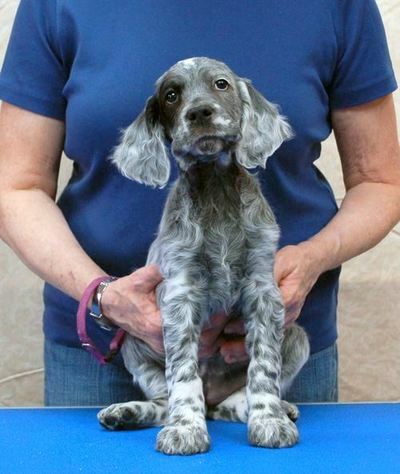 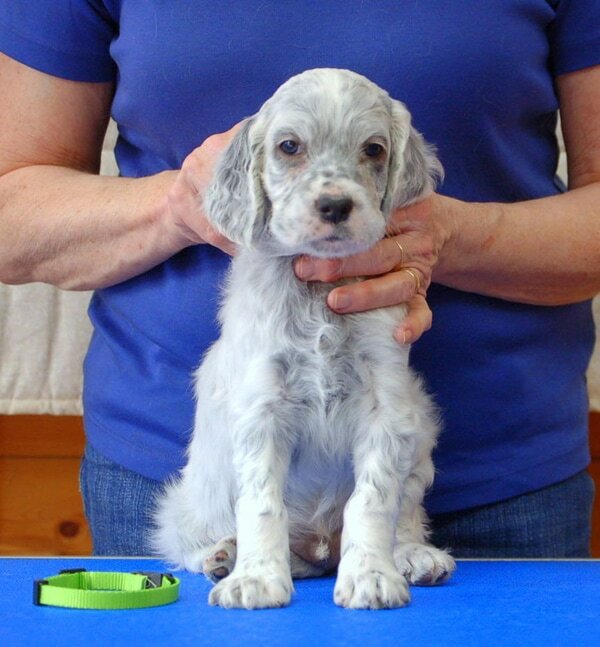 Both parents have all 4 English Setter health clearances : OFA Hips, Elbows,Thyroid & BAER( hearing). All the puppies from the Joy X Enzo litter have gone to their new homes. 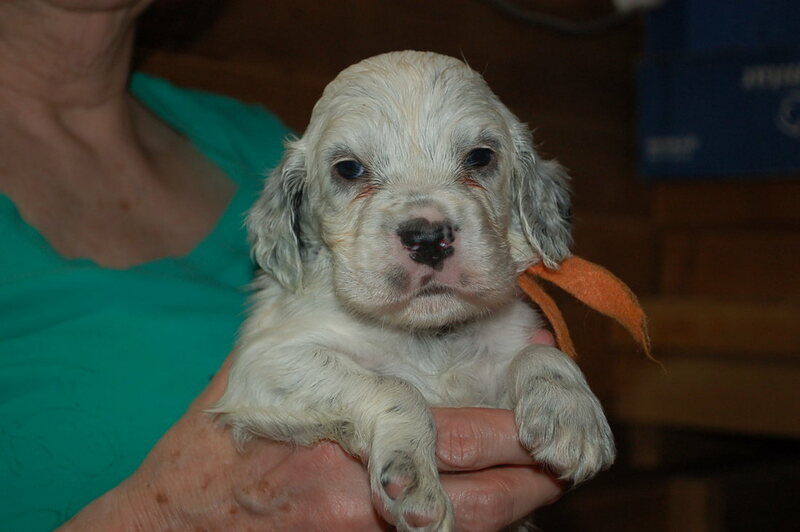 Joy x Enzo puppies taken at 1 week.